An unidentified hunter has inspired rage with his “sickening actions”. 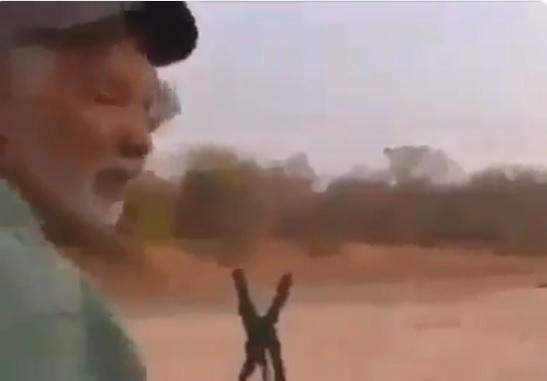 An unknown hunter is currently going viral after a video was uploaded yesterday by the account @protect_wildlife on Twitter of him shooting a sleeping lion, while a man with a South African accent stands alongside him and congratulates him saying, “That Mr Goni, is a very nice lion”. Various tweets of the video have collectively amassed tens of thousands of retweets as the outrage builds and people attempt to identify the two participants. No additional facts are known at this stage.